* Is it safe to enable Matthew Garrett's PCIe ASPM fix? * Are the power savings suggested by PowerTop useful and can we reliably enabled any of these in pm-utils? * How accurate are the ACPI battery readings to estimate power consumption? * Do the existing pm-utils power.d scripts still make sense? * Which is better for power saving: i386, i386-pae or amd64? * How much power does the laptop backlight really use? * Does halving the mouse input rate really save that much more power? * Should we re-enable Aggressive Link Power Management (ALPM)? 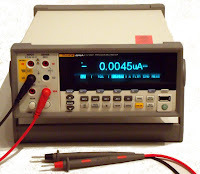 * Are there any misbehaving applications that are consuming too much power? 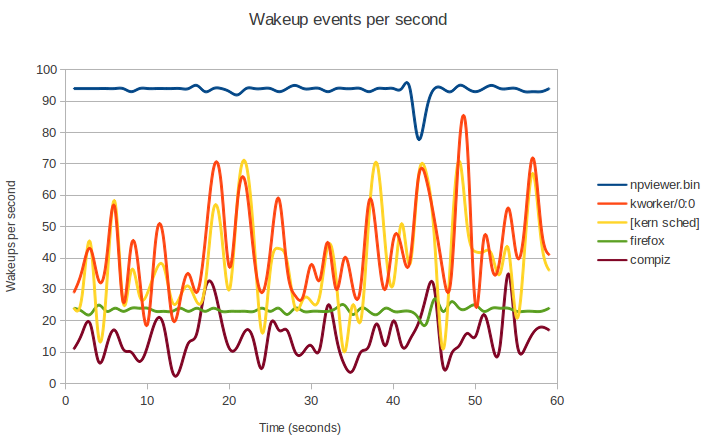 * Which applications and daemons are creating unnecessary wake events? * How much does the MSR_IA32_ENERGY_PERF_BIAS save us? From some of the analysis and "crowd sourcing" tests it is clear that the PCIe ASPM fix works well, so we've already incorporated that into Precise. Aggressive Link Power Management (ALPM) is a mechanism where a SATA AHCI controller can put the SATA link that connects to the disk into a very low power mode during periods of zero I/O activity and into an active power state when work needs to be done. Tests show that this can save around 0.5-1.5 Watts of power on a typical system. However, it has been known in the past to not work on some devices, so I've put a call for testing of ALPM out to the community so we can get a better understanding of the power savings vs reliability. Some of the PowerTop analysis has shown we can save another 1-2 Watts of power by putting USB and PCI controllers of devices like Webcams, SD card controllers, Wireless, Ethernet and Bluetooth into a lower power state. Again, we would like to understand the range of power savings across a large set of hardware and to see how reliable this is, so another crowd sourced call for testing has been also set up. So, if you want to contribute to the testing, please visit the above links and spend just a few tens of minutes to see we can extend the battery life of your laptop or netbook. And periodically visit https://wiki.ubuntu.com/Kernel/PowerManagement to see if there any new tests you can participate in. I've written some brief notes on power saving tweaks and also some simple recommendations for application developers to follow too. Why is my CPU Frequency Limited? * Hardware limitations (e.g. ACPI _PPC object). Fortunately Thomas Renninger introduced /sys/devices/cpu*/cpufreq/bios_limit that exports to user space the BIOS limited maximum frequency for each CPU. 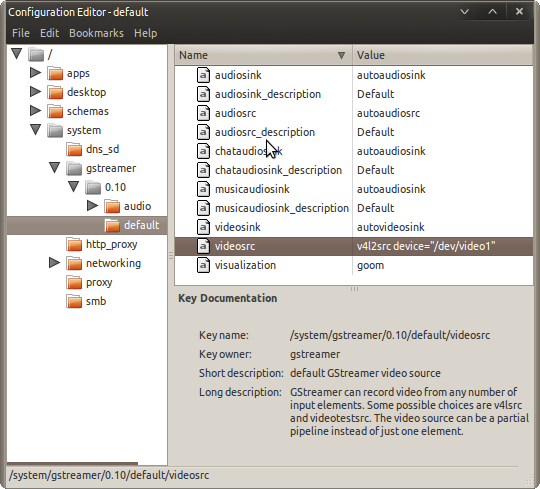 This feature is available in Ubuntu Maverick 10.10 upwards. So, if you have a machine that you believe should have CPUs running at a higher frequency, inspect the bios_limit files to see if the BIOS is mis-configured. Now and again while debugging systems I would like to be able to evaluate an ACPI method or object and see what it returns. To solve this problem in a generic way I put a little bit of effort today in developing a short SystemTap script that allows me to run acpi_evaluate_object() on a given named object and to dump out any returned data. The script is designed to allow one to hack away and add in the calls to the objects that one requires to be evaluated, quick-n-dirty, but it does the job. It was surprisingly easy to get this up and running with SystemTap once I had figured how to dump out the evalated objects to the tty - the script is fairly compact and the main bulk of the code is a terse error message table. SystemTap print statements from "embedded C" functions. SystemTap provides a flexible programming language to prototype debugging scripts very quickly. Sometimes however, one has to use "embedded C" functions in a SystemTap script to interface more deeply with the kernel. Today I was writing a script to dump out ACPI object names and required some embedded C in my SystemTap script to walk the ACPI namespace and this required a C callback function. However, inside the C callback I wanted to print the handle and name of the ACPI object but couldn't figure out how to use the native SystemTap print() functions from within embedded C code. So I crufted up a simple "HelloWorld" SystemTap script and ran it with -k to keep the temporary sources and then had a look at the automagically generated code. It appears that SystemTap converts the script print statements into _stp_printf() C calls, so I just plugged these into my C callback instead of using printk(). Now my output goes via the underlying SystemTap print mechanism and appears on the tty rather than going to the kernel log. Bit of a hack, but the result is easy to use. I wish it was documented though. Last night I was asked why Mac Minis require "setpci -s 0:1f.0 0xa4.b=0" to force the Mac to auto-reboot in the event of a power failure. Well, after a lot of Googling around I found that this setpci rune is quoted in a lot of places and at a guess probably originated from advice on the Mythical Beasts website. However, the explanation of what this rune actually did was distinctly lacking. So, why is it required? "AFTERG3_EN — R/W. This bit determines what state to go to when power is re-applied after a power failure (G3 state). This bit is in the RTC well and is not cleared by any type of reset except writes to CF9h or RTCRST#. 0 = System will return to S0 state (boot) after power is re-applied. 1 = System will return to the S5 state (except if it was in S4, in which case it will return to S4). In the S5 state, the only enabled wake event is the Power Button or any enabled wake event that was preserved through the power failure." So, it looks like the "setpci -s 0:1f.0 0xa4.b=0" magic is just to return to a S0 (boot state) after power is re-applied after a power failure. All is explained, so not so magical after all. 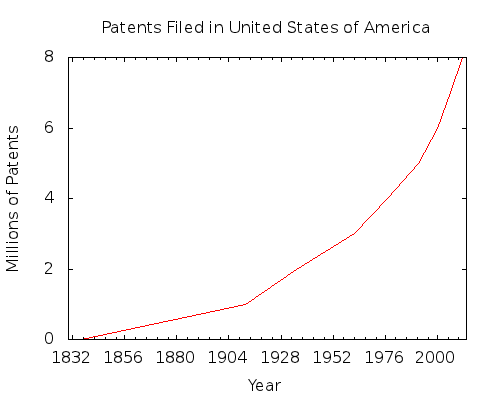 At this rate, we will see 8 million more patents issued by the end of 2016. Intellectual property is abundant, perhaps too much so. Are all these patents totally valid? Is there any kind of quality control being applied? Personally, I doubt it. I don't want to be alarmist, but I really think this is getting totally out of control. Patents are used as trading tokens as big businesses wage war against each other. Companies are loading their war-chests with patent portfolios to block rivals from bringing to market innovative new products which leads to a product monoculture. More perversely, patents are being used so sue users of technology rather than manufacturers. Ultimately the consumer is the loser and patent lawyers and big business are the winners - that's the price for patents protecting innovation. By default Ubuntu is installed with the root filesystem at the start of the disk drive and with swap right at the end. 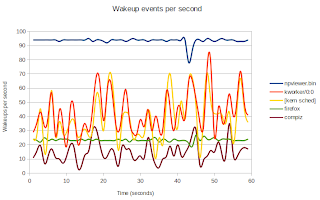 If one analyses the read/write performance of a hard disk drive (HDD) one will quickly spot that the I/O rates differ depending on the physical location of the data. From the relatively small sample of laptop and desktop drives that I've looked at it seems that reads from the logical start of the drive are fastest and drop off down to roughly half that rate near the end of the drive. The rate is higher for data on the outer tracks (because there are more data sectors) and lower toward the inner tracks (fewer data sectors). 1st /boot (ext4), 2nd swap, 3rd / (ext4) and 4th /home (ext4). ..so this should make booting, swapping and hibernating just slightly faster. 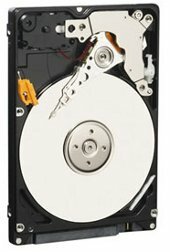 Over the lifetime of the drive the random file writes and deletions in /home won't cause /boot new kernels and initrd images to be fragmented because the are on separate partitions. Also I can avoid over-writing all my user data in /home if I do a clean installation of Ubuntu into /boot and / at a later date. I do quite a bit of international travelling and my old klunky Lenovo 3000N200 takes a few knocks and consequently I've had to purchase my 2nd HDD for this laptop in the past 3.5 years. ..and saw that I'd got 5311 hours of use out of the drive and considering I bought it about 400 days ago works out to be ~13.25 hours of usage per day on average. Peeking at /sys/fs/ext4/sda*/lifetime_write_kbytes it appeared I had written 1.4TB of data, which works out to be 0.27GB of writes per hour of use on average - which sounds fair as my laptop is mainly used for Web, Email and the occasional bit of compilation (as I do most kernel builds on large servers). So what do I replace it with? Well, being a cheapskate, I did not want to splash out on an expensive SSD on this relatively old laptop (which I will palm off to my kids fairly soon), so I went for an spinny disk upgrade. 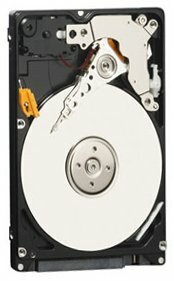 My original drive was a 160GB 5400rpm WD1600BEVT - this time I spent an extra £5 and got a 2500GB 7200rpm WD2500BEKT with double the internal cache and improved read performance - the postage was free from dabs.com so double win. At last, I've found a useful tool for producing correctly formatted source code for the inclusion into my blog. Thanks to codeformatter, one can paste in source, select the appropriate formatting style options and produce blog formatted output to paste into one's blog articles! Easy! The MTRRIOC_GET_ENTRY ioctl() is a useful but under-used ioctl() for reading the MTRR configuration from /proc/mtrr. Instead of having to read and parse /proc/mtrr, the ioctl() provides a simple interface to easily fetch each MTRR. A struct mtrr_gentry is passed to the ioctl() with the regnum member set to the MTRR register one wants to read. After a successful ioctl() call, size member of struct mtrr_gentry is less than 1 if the MTRR is disabled, otherwise it is populated with the MTRR register configuration. ..clearly showing that gentry.base, .size and .type are set to zero for entries > 4GB. This week I'm attending the Linux Plumbers Conference in Santa Rosa, CA. Yesterday I gave a brief presentation of the Firmware Test Suite in the Development Tools, and for reference, I've uploaded the slides here. codiff: This is a diff like tool use to compare the effect a change in source code can create on the compiled code. pfunct: This displays information about functions, inlines, goto labels, function size, number of variables and much more. pdwtags: A DWARF information pretty-printer. pglobal: Dump out global symbols. prefcnt: A DWARF tags usage count. dtagnames: Will lists tag names. Easy! Obviously these tools only work if the DWARF information is not stripped out. All in all, these are really useful tools to know about and will help me in producing better code in the future. Firmware Test Suite full documentation. I've now competed the documentation of the Firmware Test Suite and this include documenting each of the 50+ tests (which was a bit of a typing marathon). Each test has a brief description of what the test covers, example output from the test, how to run the test (possibly with different options) and explanations of test failure messages. For example of the per-test documentation, check out the the suspend/resume test page and the ACPI tables test page. When I was a very junior software engineer working on Fortran 77 signal processing modules on MicroVaxes, PDP-11s, Masscomps and old 286 PCs I was given some very wise words by the owner of the company: "Assume nothing". This has stuck with me for nearly quarter of a century. It is pithy, easy to remember and is so true for software engineering. 1. "Assume nothing" makes me look up details when I'm not 100% sure. 2. "Assume nothing" means that I double check my facts when I think I'm 100% sure. 3. "Assume nothing" makes me question even the so called 'obvious'. "Of course it will work.." turns into "are we sure it will work for every possible case?" 4. "Assume nothing" makes me dot the i's and cross the t's. 5. "Assume nothing" keeps me sceptical, which is useful as there is a lot of stupidity masquerading as knowledge on the internet. I could ramble on. However enough said. Just assume nothing, it will keep you out of a lot of trouble. Gustavo Duarte has written a concise and very readable article describing how computers boot up. Well worth reading. Which version of the GCC compiled my program? Some problems are a little challenging to debug and require sometimes a bit of lateral thinking to solve. One particular issue is when suspend/resume locks up and one has no idea where or why because the console has is suspended and any debug messages just don't appear. In the past I've had to use techniques like flashing keyboard LEDs, making the PC speaker beep or even forcible rebooting the machine at known points to be able to get some idea of roughly where a hang has occurred. This is fine, but it is tedious since we can only emit a few bits of state per iteration. Saving state is difficult since when a machine locks up one has to reboot it and one looses debug state. One technique is to squirrel away debug state in the real time clock (RTC) which allows one to store twenty or so bits of state, which is still quite tough going. One project I've been working on is to use the power of system tap to instrument the entire suspend/resume code paths - every time a function is entered a hash of the name is generated and stored in the RTC. If the machine hangs, one can then grab this hash out of the RTC can compare this to the known function names in /proc/kallsyms, and hopefully this will give some idea of where we got to before the machine hung. However, what would be really useful is the ability to print out more debug state during suspend/resume in real time. Normally I approach this by using a USB/serial cable and capturing console messages via this mechanism. However, once USB is suspended, this provides no more information. One solution I'm now using is with Kamal Mostafa's minimodem. This wonderful tool is an implementation of a software modem and can send and receive data by emulating a Bell-type or RTTY FSK modem. It allows me to transmit characters at 110 to 300 baud over a standard PC speaker and reliably receive them on a host machine. If the wind is in the right direction, one can transmit at higher speeds with an audio cable plugged in the headphone jack of the transmitter and into the microphone socket on the receiver if hardware allows. The 8254 Programmable Interval-timer on a PC can be used to generate a square wave at a predefined frequency and can be connected to the PC speaker to emit a beep. Sending data using the speaker to minimodem is a case of sending a 500ms leader tone, then emitting characters. Each character has a 1 baud space tone, followed by 8 bits (least significant bit first) with a zero being a 1 baud space tone and a 1 being represented by a 1 baud mark tone, and the a trailing bunch of stop bits. So using a prototype driver written by Kamal, I tweaked the code and put it into my suspend/resume SystemTap script and now I can dump out messages over the PC speaker and decode them using minimodem. 300 baud may not be speedy, but I am able to now instrument and trace through the entire suspend/resume path. The SystemTap scripts are "work-in-progress" (i.e. 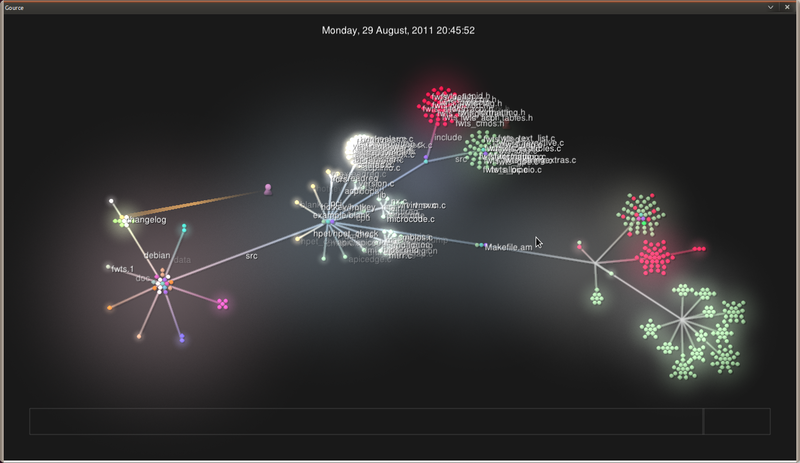 if it breaks you keep the pieces), but can be found in my pmdebug git repo git://kernel.ubuntu.com/cking/pmdebug.git. The README file gives a quick run down of how to use this script and I have written up a full set of instructions. The caveat to this is that one requires a PC where one can beep the PC speaker using the PIT. Lots of modern machines seem to either have this disabled, or the volume somehow under the control of the Intel HDA audio driver. Anyhow, kudos to Kamal for providing minimodem and giving me the prototype kernel driver to allow me to plug this into a SystemTap scrip. filesystem blocksize 4096, begins at LBA 24000512; assuming 512 byte sectors. What's new in the Firmware Test Suite for Oneiric 11.10? The Firmware Test Suite (fwts) is still a relatively new tool and hence this cycle I've still been adding some features and fixing bugs. I've been running fwts against large data sets to soak test the tool to catch a lot of stupid corner cases (e.g. broken ACPI tables). Also, I am focused on getting some better documentation written (this is still "work in progress"). 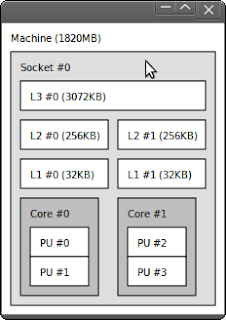 Sanity check tables against the MultiProcessor Specification (MPS). For more information about MPS, see the wikipedia MPS page. Sanity check Model Specific Registers across all CPUs. Does some form of MSR default field sanity checking. Very simple suspend (S3) power checks. This puts the machine into suspend and attempts to measure the power consumed while suspended. Generally this test gives more accurate results the longer one suspends the machine. Your mileage may vary on this test. Hex dump of the Extended BIOS Data Area. In addition to the above, the fwts "method" test is now expanded to evaluate and exercise over 90 ACPI objects and methods. One can also join the fwts mailing list by going to the project page and subscribing. It just so happens that I have two Webcams on my machine, one being a rather poor one built into the laptop and a 2nd better quality Logitech webcam. Using the 2nd webcam by default in Empathy for video conference calls required a little bit of hackery with gconf-editor by changing /system/gstreamer/0.10/default/videosrc from v4l2src to vl4l2src device="/dev/video1"
This wasn't entirely the most user friendly way to configure the default. Ho hum.. It appears that the semantics of halt mean it will stop the machine but it may or may not shut it down. Back when I used UNIX boxes, halt basically stopped the machine but never powered it down; to power it down one had to explicitly use "halt -p". "Requests that the system be either halted or powered off after it has been brought down, with the choice as to which left up to the system." Hrm, so this vaguely explains why halting some machines may just halt and on others it may also shut the system down. I've not digged into this thoroughly yet, but one suspects that for different processor architectures we get different implementations. Even for x86 we have variations in CPUs and boards/platforms, so it really it is hard to say if halt will power down a machine. The best bet is to assume halt just halts and if you want it to power down always use "halt -p". The Linux PCI core driver provides a useful (and probably overlooked) sysfs interface to read PCI ROM resources. A PCI device that has a ROM resource will have a "rom" sysfs file associated with it, writing anything other than 0 to it will enable one to then read the ROM image from this file. ..and just use strings on the ROM image to dump out interesting text, e.g. ..and then used a tool like bvi to edit the ROM. I don't want to start a vi vs emacs holy war, but I have found a wonderful binary editor based on the vi command set. The bvi editor is great for tweaking binary files - one can tab between the hex and ASCII representations of the binary data to re-edit the data. As well as basic vi commands, bvi contains bit-level operations to and/or/xor/not/shift bits too. One has to use ':set memmove' to insert/delete data as this is not enabled by default. Anyhow, install, consult the man page and get editing binary files! 1. Was it because I upgraded my kernel? 2. Did I unexpected disabled the speaker when tweaking BIOS settings? 3. Was it something interfering with my port 0x61 bit twiddling? 4. Was the hardware now broken? As per usual, I first assumed that the most complex parts of the system were to blame as they normally can go wrong in the most subtle way. After a lot of fiddling around I discovered that the PC speaker only worked when I plugged the AC power into the laptop. Now that wasn't obvious. Normally when I see a problem to do with CPU, I/O, network or memory resource hogging I turn to my trusty tools such as vmstat, iostate or ifstat to check system behaviour. Running dstat with no arguments displays CPU stats (user,system,idle,wait,hardware interrupts, software interrupts), Disk I/O stats (read/write), Network stats (receive,send), Paging stats (in/out) and System stats (interrupts, context switches). Not bad at all. Dstat even highlights in colour the active values, so you don't miss relevant deltas in the statistics being churned out by the tool. Colours can be disabled with the --nocolor option. ..and many more besides - consult the manual page for dstat to see more. So, dstat really is a Swiss army knife - a useful tool to get to know and use whenever you need to quickly spot misbehaving processes or devices. 1. Cater for the possible existence of PM1b_EVT_BLK and PM1b_CNT_BLK registers. 3. Instead of setting SLP_TYP and SLP_EN on, one sets SLP_TYPE and then finally sets SLP using separate writes. The refined program requires 4 arguments, namely the port address of the PM1a_EVT_BLK, PM1b_EVT_BLK, PM1a_CNT_BLK and PM1b_CNT_BLK. If the PM1b_* ports are not defined, then these should be 0. ..and this will transition the laptop to the S5 state very quickly. Needless to say, make sure you have sync'd and/or unmounted your filesystems before doing this. ..however these are offsets from PMBASE which are defined in the LPC Interface PCI Register Address Map so you may require a little bit of work to figure out the addresses of these registers on your hardware. The ACPI engine in the kernel can be debugged by building with CONFIG_ACPI_DEBUG and configuring /sys/module/acpi/parameters/debug_layer and /sys/module/acpi/parameters/debug_level appropriately. This can provide a wealth of data and is generally a very powerful debug state tracing mechanism. However, there are times when one wants to get a little more debug data out or perhaps just drill down on a specific core area of functionality without being swamped by too much ACPI debug. This is where tools like SystemTap are useful. SystemTap is a very powerful tool that allows one to add extra debug instrumentation into a running kernel without the hassle and overhead of rebuilding a kernel with debug printk() statements in. It allows very quick turnaround in writing debug and one does not have to reboot a machine to load a new kernel since the debug is loaded and unloaded dynamically. SystemTap has its own scripting language for writing debug scripts, but for specialised hackery it provides a mechanism ('guru mode') to embed C directly which can be called from the SystemTap script. The SystemTap language is fairly small and easy to understand and one easily becoming proficient with the language in a day. The only downside is that one requires a .ddeb kernel package which is huge since it contains all the necessary kernel debug information. Over the past week I have been looking at debugging various aspects of the ACPI core, such as fulling tracing suspend/resume and dumping out executed AML code at run time. I was able to quickly prototype a SystemTap script that dumps out AML opcodes on the Oneiric kernel - this saved me the usual build of a debug kernel with CONFIG_ACPI_DEBUG enabled and then capturing the appropriate debug and wading through copious amounts of debug data. Conclusion: Some initial investment in time and effort is required to understand SystemTap (and to get to grips with the more useful features in 'guru mode'). However, one can be far more productive because the debug cycle is made far more efficient. Also, SystemTap provides plenty of functionality to allow very detailed and targeted debugging scripts. The preferred way to access these is via the ACPI EC driver in drivers/acpi/ec.c which is used by the ACPI driver to handle read/write operations to the EC memory region. In addition to this driver, there the ec_sys module that provides a useful debugfs interface to allow one to read + write to the EC memory. Write support is enabled with the ec_sys module parameter 'write_support' but it is generally discouraged as one may be poking data into memory may break things in an unpredictable manner, hence by default write support is disabled. 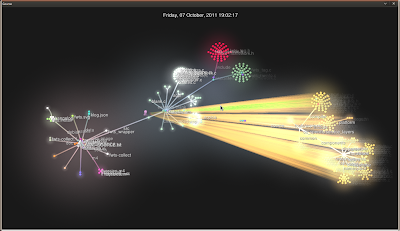 As a bonus, the General Purpose Event bits are also readable from /sys/kernel/debug/ec/ec0/gpe. Before I stumbled upon ec_sys.c I used a SystemTap script to execute ec_read() in ec.c to do the reading directly. Yes it's ugly and stupid, but it does prove SystemTap is a very useful tool. How much data has been written to your ext4 partitions? The ext4 file system has a bunch of per-device /sys entries in /sys/fs/ext4/ that can be used to inspect and change ext4 tuning parameters. One of the read-only values available is lifetime_write_kbytes which shows the number of kilobytes of data written to the file system since it was created. For a full description of all the tunables, consult Documentation/ABI/testing/sysfs-fs-ext4 in the Linux source. lstopo is also able to output the toplogy image in a variety of formats (Xfig, PDF, Postscript, PNG, SVG and XML) by specifying the output filename and extension, e.g. For more information, consult the manual for hwloc and lstopo.